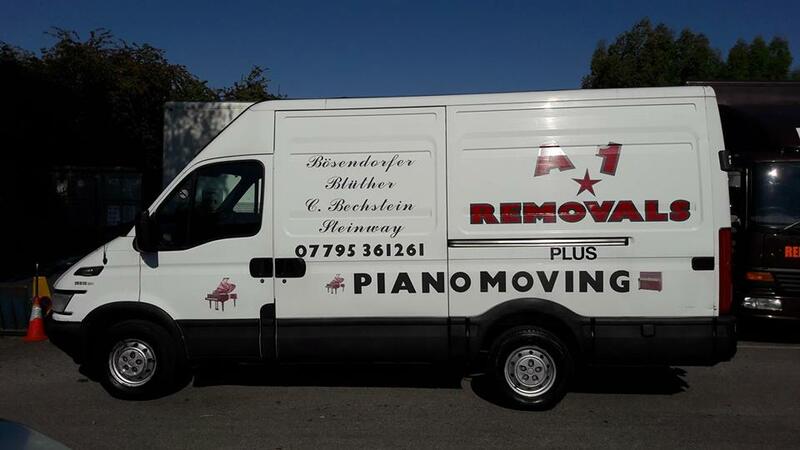 A1 Removals have been trading since 2001 offering highly specialist services such as piano moving. But we also offer furniture removals, delivery services, man with a van, packing services, clearances and storage. Our additional services include domestic and commercial removals from our popular 'Man with a van' service to a full house removals team. 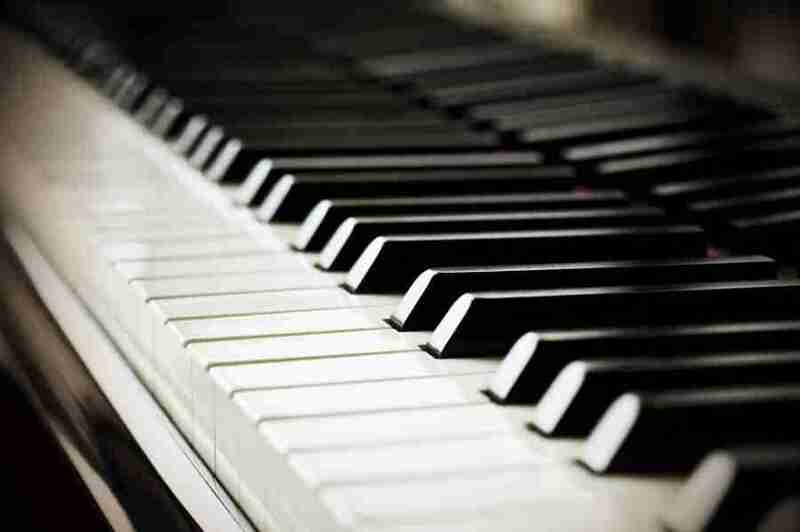 We are experienced in handling all types of pianos. These are large, sometimes priceless instruments that require special care and present unique logistical challenges when moving. We are very experienced in handling these challenges with ease using a combination of expertise and specialised equipment. Let us put that expertise and experience to use, transporting all your belongings with the same care and skill as a piano. 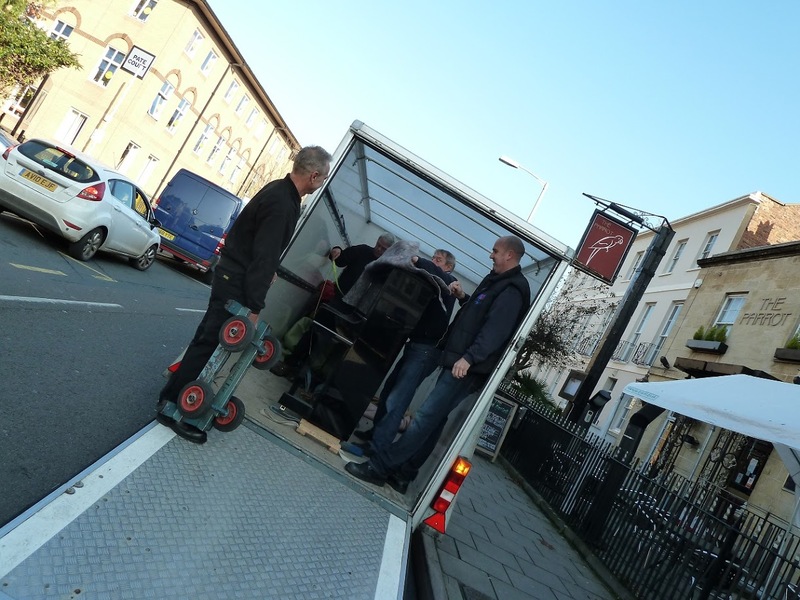 Our House removals in Cheltenham are experts at getting you out quickly and efficiently. Founded in 2001 we have many years of knowledge that make us stand out. We have had many customers in the past just leave there keys with us and get on with it, locking up behind us leaving you free to do what you need to do. From House removals, flat moves, office moves or packing services, our staff are trained to suit your needs. With our Competitive rates we aim to please and make the move as stress free as possible.Our services are from start to finish removals services including a packing and unpacking services if you require. 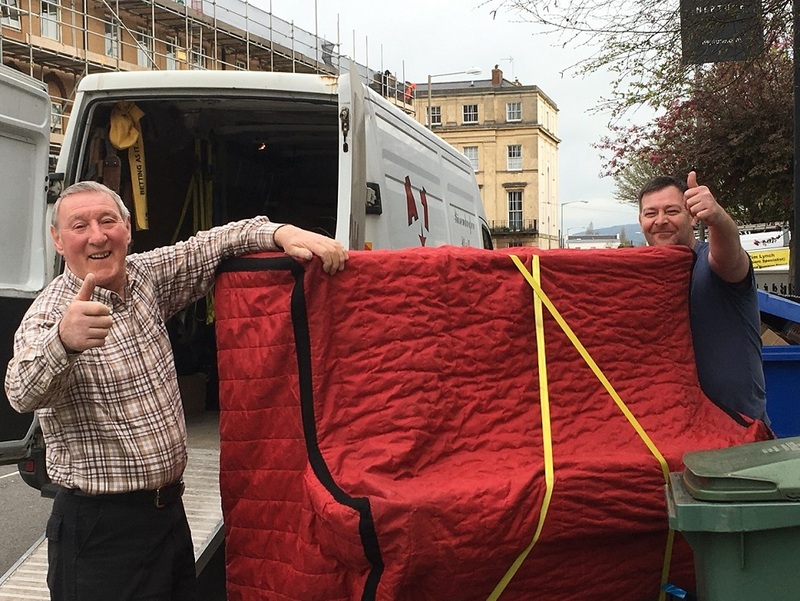 John (known locally in the community as Jiro) bought the business back in 2000 after he noticed a gap in the market for a specialist, premium, piano moving service in the local Gloucestershire area. 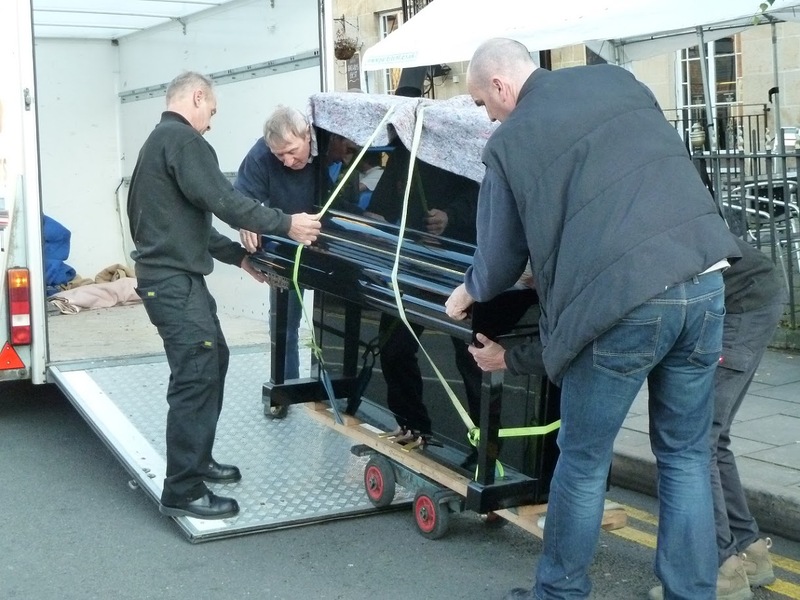 Quickly John became established as the best piano mover in the area with a strong team behind him composing of his son Liam, Morris, Steve, Larry and Dave. When John sadly passed away in 2015, his son Liam continued the business with John's passion being forever instilled in the company. His dream of owning a successful removal business was a reality and now continues in the family. We have 3 vehicles which are all fully insured to take any type of piano anywhere in the world. Our man with a van services based in Cheltenham are a great way to ensure your possessions don't get damaged during your move. 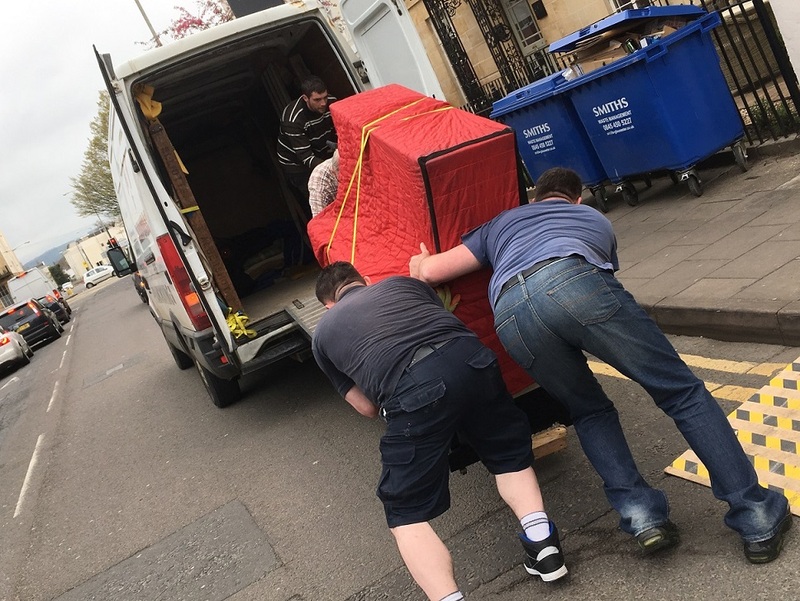 With our expertise in house removals, our guys are able to load and stack the vehicle whilst you help load up if necessary. From 1 x man with a van to 2 x Men with a van you can rest assured we have a vehicle to suit your needs, weather it is 1 item to move, a small move or a large move. We are the firm that will look after you on your removal day. Our prices on man with a van services is based on an hourly rate with a minimum of 3 hours. Furniture deliveries are charged at a small fixed price on the day. Our man and a van services are a great way of getting your small removal done with minimum costs. We offer professional competitive rates for man with a van services in Cheltenham. Starting from £65 Per hour for a man and van and £12.00 per hour for extra men, our small removal service is perfect for your small 1 bed property moves. Your goods will be fully insured whilst being moved by our guys. Our Man and van services come fully equipped with ties, furniture blankets and sack trucks to secure your load whilst transporting to the next destination. We safely transport your goods anywhere in the country, giving you the peace of mind you need while ensuring that your belongings are as safe as possible. Our man with a van service have years of experience and are ready to tackle your moving task at an affordable price. We are a highly reputable company offering competitive moves around Gloucestershire. A1 Removals are able to pick-up any single items you may need delivering. We charge only a small fee per item. If you have brought furniture from a shop and don't want to wait for there delivery guys, then give us a call for your free quote. A1 Removals can offer a choice of van sizes – a small van, Transit van size, Luton van, or even something larger. We are available 7 days a week at no extra costs for weekends. We can provide storage facilities to suit your needs . With vehicles and staff to suit your needs we aim to get you out quickly and efficiently, making your move day as smooth as possible. 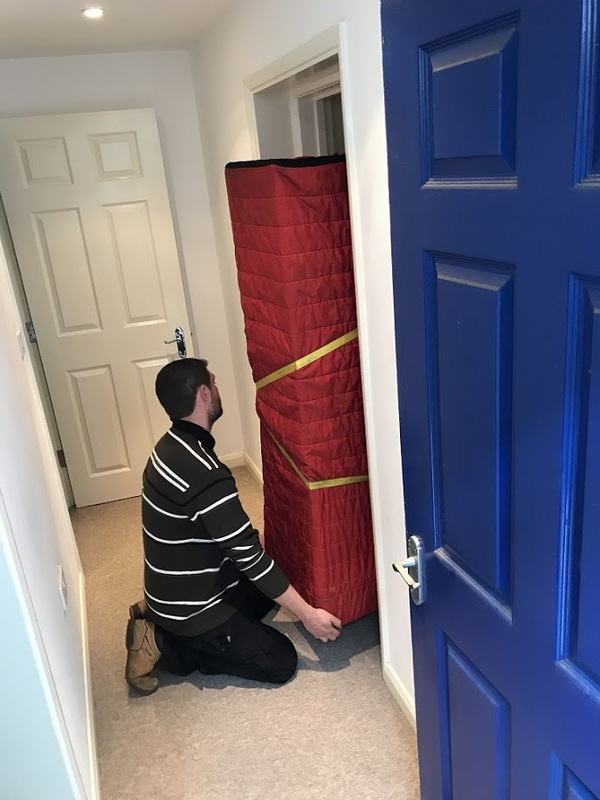 If you require removal services in Cheltenham and are looking for a reputable company that you can trust to take good care of your belongings then contact our firm today. At A1 Removals we are proud of our family run business and our working ethos. We are a professional, yet friendly company which are reliable and trustworthy. We offer a comprehensive services including packing and storage if required. Our clients include industrial, commercial as well as individual homes and people. We are happy to help in any way with your moving requirements - no job is too big or too small. Our packing services in Cheltenham are a great way to ensure your possessions don't get damaged during your move. We like to minimise volume by leaving any draws full during your move, if the chest of draws etc are to heavy we will take them out and put back in on the vehicle. On the day of your house move, we will bring hanging garments to hang any of your clothes in wardrobes etc. We can export wrap if you require. 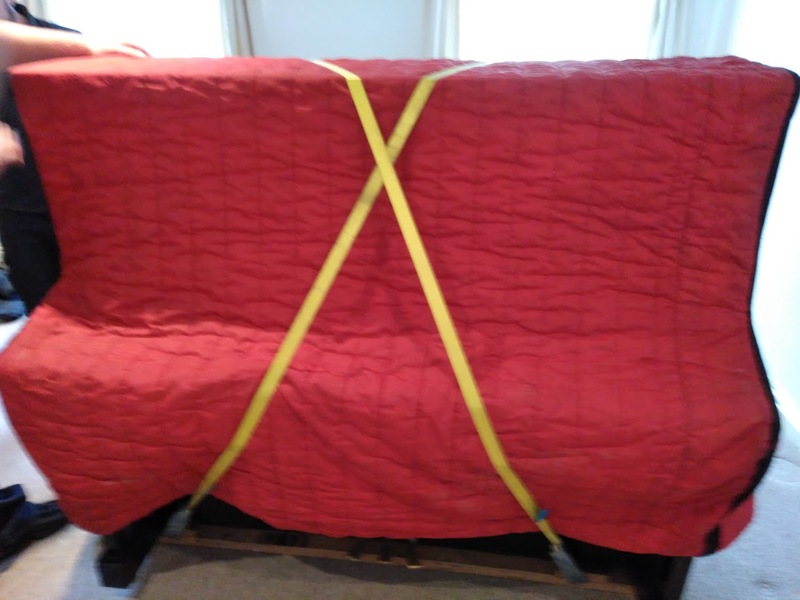 All furniture is wrapped in removal blankets on our removal vehicles. From boxes, tape, bubble wrap, wrapping paper and blankets. We have the expertise and materials to pack any small or large properties with great care. 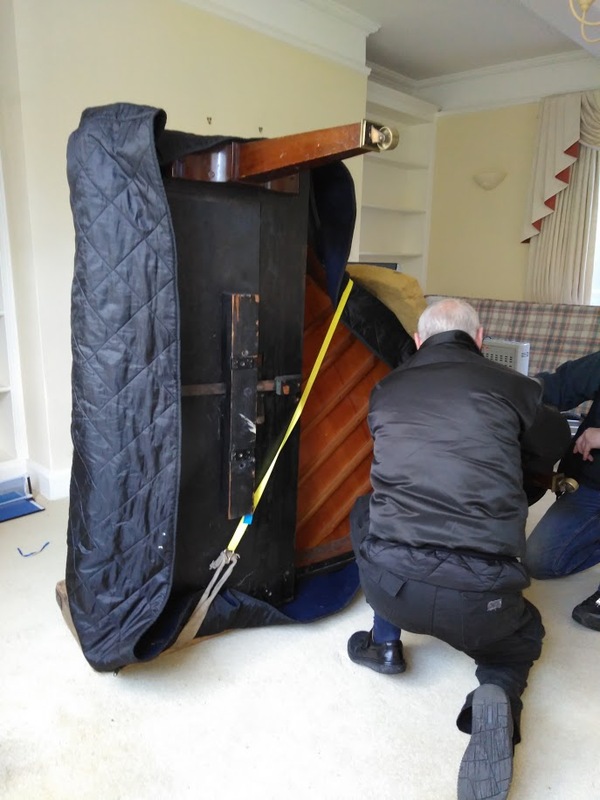 As piano moving specialists, we are highly experienced at moving extremely valuable items which are bulky and heavy, meeting access challenges along the way. Let us put our well practiced skills to use when you need your antiques and art work moved. Your irreplaceable items will be in very safe hands with our experienced team. We will conduct a full site survey and properly plan the moving of your items to avoid any unforeseen surprises. Contact us using one of the buttons above. We look forward to discussing your antiques and art move with you.